Happy FRI-YAY! Fridays are even more appreciated when I'm working full-time. I absolutely love my job and I have been having so much fun at summer camp but I also really looking forward to some real relaxation this weekend! 1. S H O R T S | These are my favorite type of running shorts. I already own two pairs and I'm planning to add this fun pair to my collection because they are currently on sale! 2. J A C K E T | I have had my current utility jacket for years and I have been overdue for a new one. I love the style of this one. Definitely a closet staple! 3. E A R R I N G S | Staple earrings are the perfect way to dress up your look, especially during the hot summer months. These earrings would take a simple jean shorts and white tee look to a whole different level. This pair is also only $14! 4. S A N D A L S | Target has jumped on the Greek sandal train and they are offering this style in three great colors for less than $20! 5. 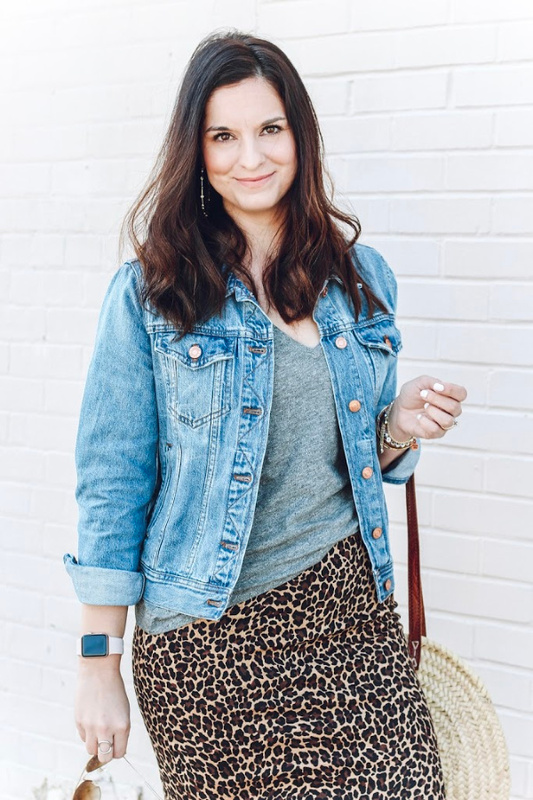 S K I R T | Denim skirts are such a great basic to have in your wardrobe. I tried this one on in the store last weekend and the fit is true to size. So cute! 6. T E E | I can't get enough tees in my closet. My casual lifestyle totally supports my love for comfortable shirts like this one. I love the knotted detail! 7. N E C K L A C E | I have been currently loving minimalist pieces of jewelry like this necklace for awhile now. I love jewelry that makes a statement without being too overwhelming. 8. H E E L S | This is such a great pair of heels to wear now during the summer and they will also transition into fall perfectly! I need them to wear with a little black dress asap!